The situation in Greece is getting worse by the day. New migrants know about the country’s economic crisis, but still decide to come to Greece as it is their entry point to Europe. The situation in Greece is getting worse by the day. New migrants know about the economic crisis here, but still they decide to come to Greece as it is their entry point to Europe. The arrival of migrants in the Greek islands is 500 percent more than last year. Since the Greek state is bankrupt there are no state funds to help migrants when they arrive and both the police and the coastguard don’t have a migration policy. On top of that, the migrants arriving to the islands have very little help, since Greece is not able to provide accommodation, food, medical and legal help. Until now, the migrants face a short detention at the reception services on the islands including Lesvos, Kos, Chios, Samos and Rhodes. As Greece has limited personnel working in the asylum services asylum seekers are sent as soon as possible to downtown Athens so the local authorities can go through documentation procedures. On 14th of June alone the authorities transported 1800 refugees, from the island of Mitilini to Omonia Square in the capital. Thus, downtown Athens has become a stop for all migrants that arrive to the Greek borders, either by land or by sea. The crisis in Greece affects everybody, but refugees, asylum seekers and economic migrants are among the groups of people that are most vulnerable, therefore they are in need of urgent help. 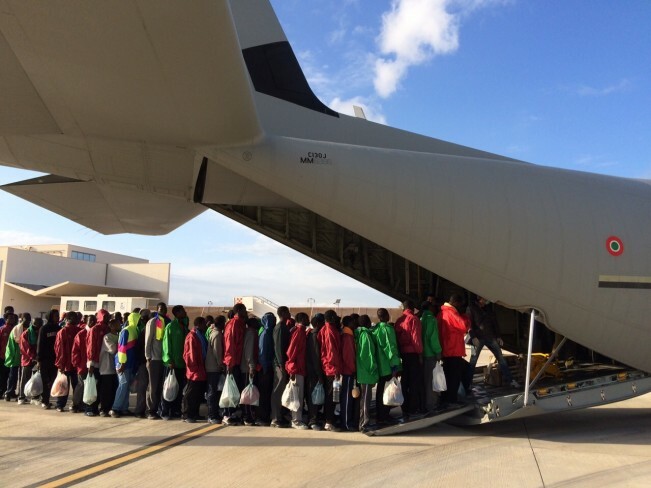 More migrants are coming to the Caritas Refugee Centre in Athens. Primarily, the nationalities that come to us are from Syria, Afghanistan, Nigeria, Sierra Leone and Congo. In the past one and a half years, the number of Syrians have increased. Migrants with legal status (refugees and legal migrants) as well as new arrivals that seek asylum are facing greater difficulties. For the migrants with legal status, the crisis affects their employment prospects. Given the high percent of unemployment for Greeks themselves, the migrant’s chances to get a job are reduced, forcing them to accept work on the black market. This situation means their status becomes illegal and they lose any chance of renewing their documents. Refugees seeking asylum fear that if the government is not able to pay its civil servants any more then the difficulties at the asylum services will increase and their asylum application will be kept on hold for an uncertain time. The lines in front of the asylum services in Athens are so long that people decide to camp and sleep even for two nights in order to get service. Our case workers say 80 percent of migrants want to leave Greece in order to move to Scandinavian countries and Germany. Caritas Athens started a programme in January 2015 thanks to funding from Caritas Italiana to help Syrian refugees that live in Athens, providing them basic needs relief, including food and clothes, and advice. We hope to extend this programme to the islands and we are planning to do this with Catholic Relief Services (CRS – a US member of the Caritas confederation). Not only migrants but more and more vulnerable Greek citizens are coming to us for help, especially to eat at our soup kitchen and to talk to our social workers. Previously the TIMA foundation, and now the Latsis foundations supported our soup kitchen expenses. From the private sector, Western Union has donated an important amount to provide supermarket coupons for vulnerable families. Greek NGOs, like Mazi gia to Paidi and Desmos, support us with donations in kind for children so we are able to provide clothes and shoes. The private sector as well, such as supermarkets and food industry, provide according to their possibilities donation in kind for the soup kitchen. The lives of the Greek people as well as of the migrants and our work in general, are all made more complicated by the crisis. Apart from the lack of employment and social protection, banks are closed and this affects money flows. Even if migrants do find work, they can’t send money back to their families. Transportation of aid is affected by the high costs. Also Church help (Orthodox, Protestant and Catholic) is decreasing because of lack of funds and donations. The Greek people cannot help anymore. They are desperate too and have very little to give. Caritas Athens tries to raise awareness among citizens by organising distribution of food in public places, like Victoria Square, where the local people help distribute the items. But, despite the difficulties that the Greeks themselves are living, the attitude of people in the islands has been of great solidarity. Many citizens have given their time and resources to provide food and clothes to the refugees. In Lesvos for example, one restaurant owner put up a tent were she serves sandwiches every day, but she wonders for how long she can help since her resources are also getting scarce. The catering services that were employed by the Greek government to support the refugees in some of the islands had to stop because they have not been paid for the last 4 months. In the island of Kos, an old hotel called Captain Ilias, a half destroyed building, is being used as refugee camp. There, the NGOs and citizens are providing the necessary help.